Published: Oct. 2, 2016 at 10:11 p.m. 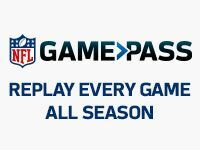 Updated: Oct. 3, 2016 at 04:30 p.m.
Dez Bryant didn't catch any passes in Sunday's win over the 49ers, but the Cowboys wide receiver did catch flak for a Sunday report on missed meetings. After suffering through a week of controversy over the delayed diagnosis of his hairline knee fracture, Bryant faced the media again following Sunday's win over the 49ers, after ESPN reported that the wide receiver had "demonstrated a pattern of irresponsible behavior", including skipping medical treatment and missing team meetings as many as 40 times since being drafted in 2010. Bryant did not take the accusations lightly. "Oh man, it's just crazy. You know, like I said before, I got to be America's most hated, you know," Bryant told reporters when asked by NFL Network's Alex Flanagan about reports of his many absences. "We don't even know who is saying it, you know, that's the crazy part about it. You know, I get messages from my friends talking about 'What is this crazy?' because it is crazy. Twenty to 40 meetings? Tell me when? Tell me, please. Tell me. "At the same time, I'm not going to lose focus on some he said, she said. We don't even know who said it to be honest. Because I know exactly what we have been building in this organization. It's totally different, not like in the past. Like I said, you see me as a man, I owned up to mine. And that's exactly what I'm going to keep on doing. I refuse to let any of this crazy crap take me off from what we are trying to build here. "If I was never injured, none of this stuff would be said. And at the same time, whoever said it, they got a name, they would have to put themselves out there. And you know they didn't, so they can take that s--- and go on back to business." Owner Jerry Jones defended his star wideout following the win. "No one knows his attendance record for meetings in his six-going-on-seven years that he's been a Dallas Cowboy," Jones explained. "He's loved by his teammates, he's respected by his teammates, he's respected by me, he's respected by his coaches. He has a few foibles, he's different than me so we have to look at those but his qualities seriously outshine that. "Since the beginning of time, meetings and the timeliness of his meetings have been the No. 1 issue. On the face of them, I would say these aren't correct. Because only God knows one way or another how many of these meetings he's missed."